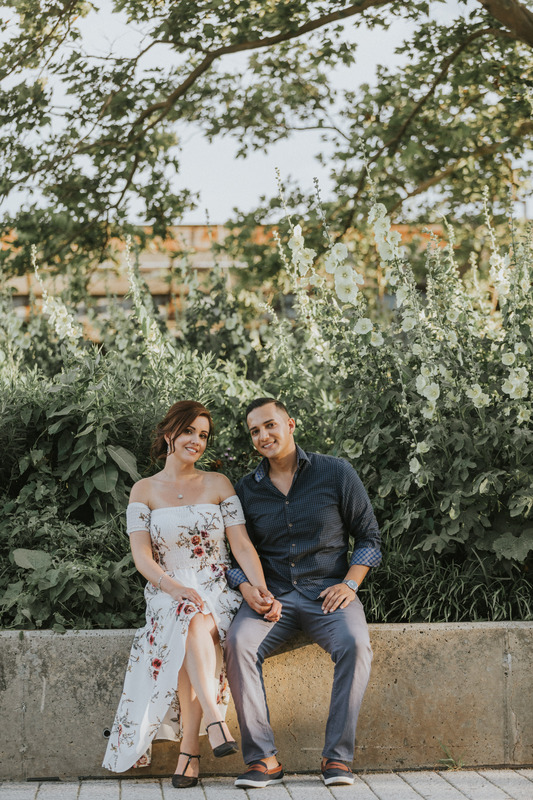 Located in Jersey City and directly across from the famous lower Manhattan skyline, Liberty State Park is one of our favorite places for engagement sessions at any time of year. It is difficult to find so much variety in texture, color, and style in one single small walk-able location anywhere else in North Jersey. 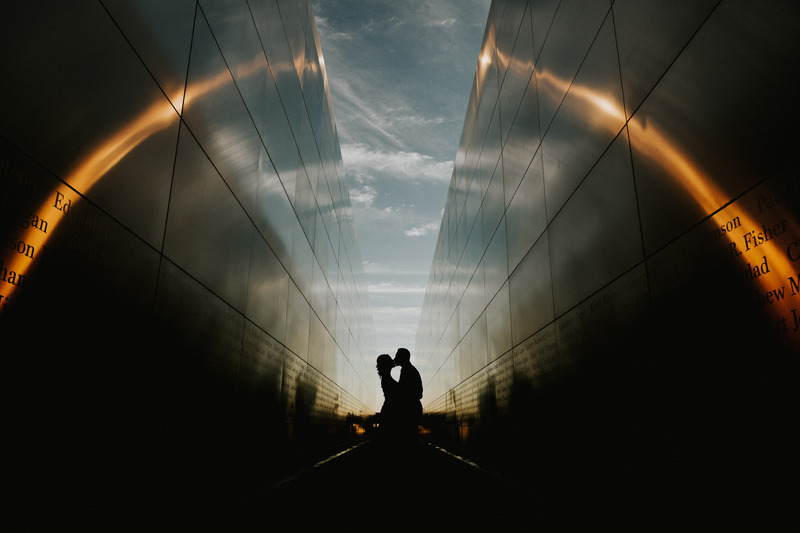 I always recommend it to couples who want the feeling of New York City without having to actually travel to the city! 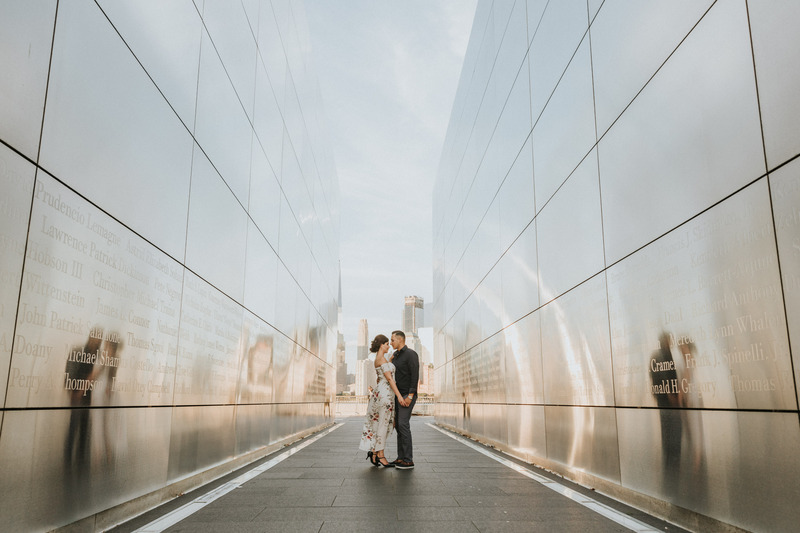 From the historic red brick train terminal to manicured gardens and ferry piers to the grassy hills overlooking NYC amongst the Empty Sky Memorial there is are endless choices of the path to take. 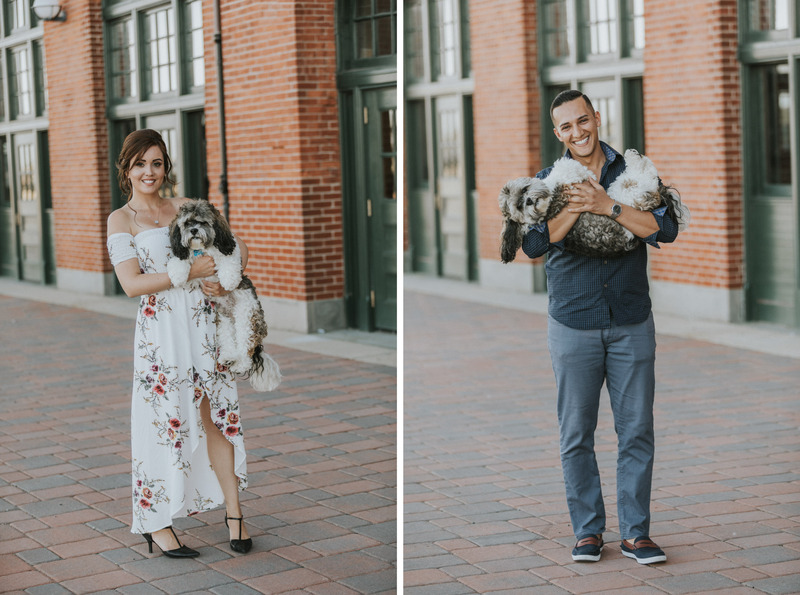 When we met them Fernanda and Sam, we snapped a few photos with their adorable and super fluffy puppy before passing him off to a friend. As the sun set, we walked throughought the park and made use of nearly everything it had to offer to create a huge variety of images. 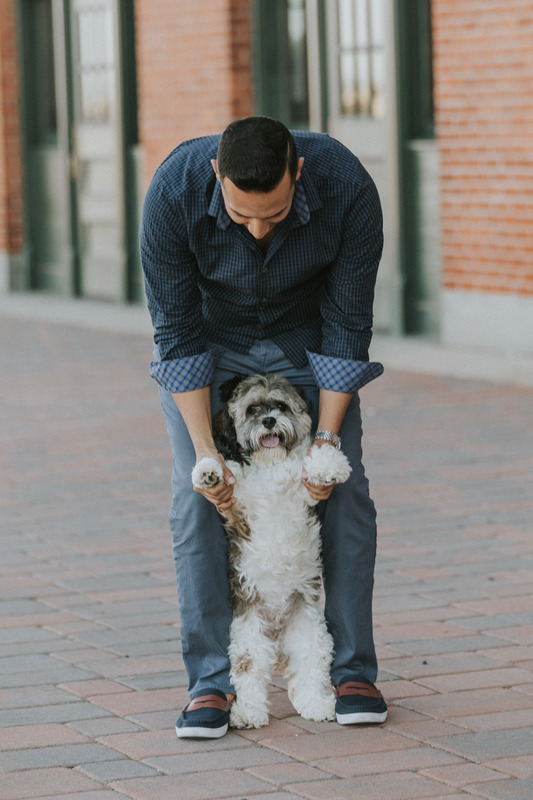 The pair had an amazing energy between them which is clear to see in their photos. 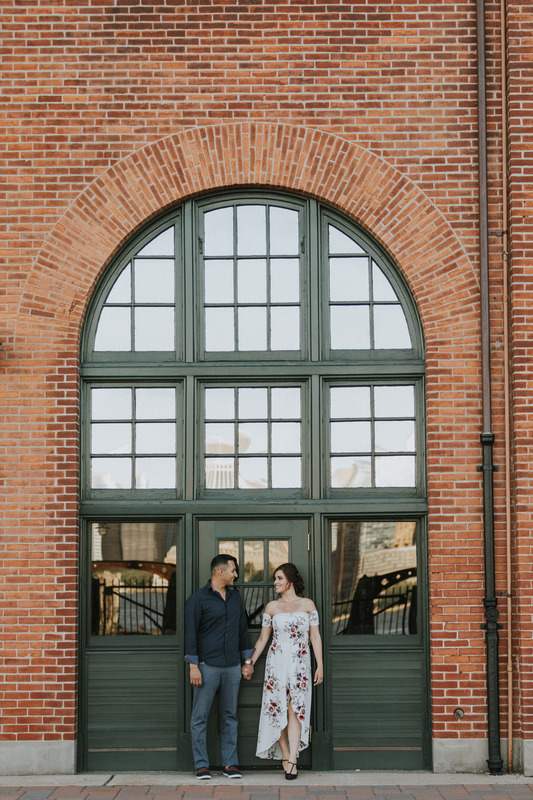 Below are just a few images from our time together before their wedding day later this year! Liberty State Park does not require any photography permit and parking is free in a large lot! The state park gates are open from 6 Am to 10 PM year round which gives us the opportunity to meet you at the peak times for amazing lighting in spring, summer, fall, or even winter. 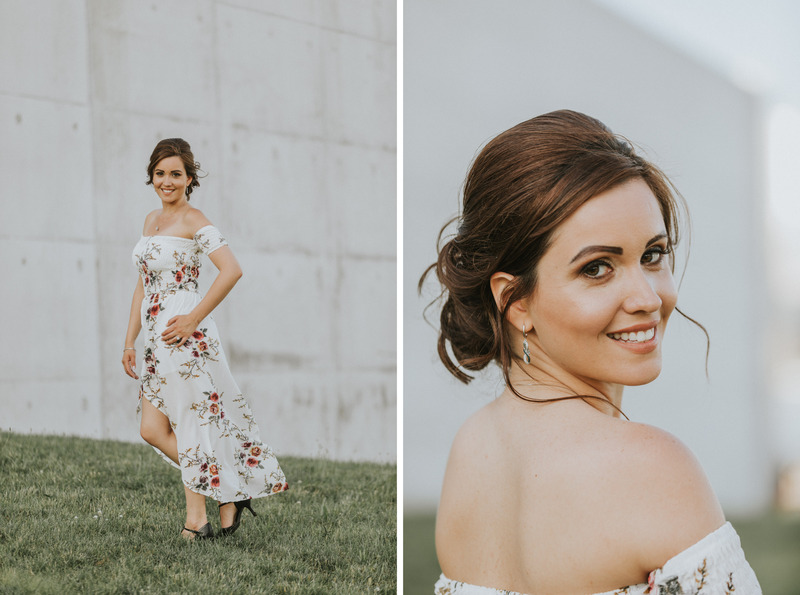 If you are looking for wedding photographer for your big day or an engagement photographer, Contact Us for more information or to book a session!